Webster’s 1828 Dictionary gives this definition for the word ‘hope’: a desire of some good, accompanied with at least a slight expectation of obtaining it, or a belief that it is obtainable. As a child, we have hope for many things: the love of our parents, friends to play with, presents to open on Christmas morning. Simple things that we expect most children to be happy with. But imagine what it must be like for a child living in extreme poverty. Maybe they have lost one or both parents, maybe they must work to help pay for basic needs of their family so they have no time to play with friends, maybe they have never received a Christmas gift. Simple things that most of us living in this country take for granted. 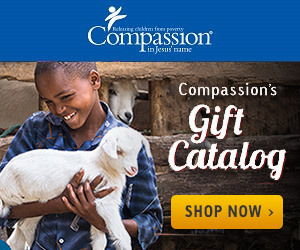 As a Compassion sponsor, you can give hope to a child living in extreme poverty. You may or may not be able to physically give your sponsored child anything other than the letters you write to them, but you will be showing them the love of Jesus by investing in their life. Are you ready to share the hope of Jesus with a Compassion child today? There are many waiting….